We customize our process to unique situation of each engagement. We have been most successful in running broad auction processes (for sell-side) and reverse auction processes (for buy-side engagements). We have also helped our clients when they have been in a one-to-one negotiation with their ideal buyer and have been successful as a finder only to facilitate the conversation and step aside. We would welcome the opportunity of getting to know you and your specific situation to develop a customized process uniquely tailored for your situation. We are exclusively focused in Information Technology, and within Information Technology predominantly on enterprise software/SaaS, IT Services and technology enabled services in various verticals like HR/Benefits administration, Unified Communications, Public Sector IT, Mobility Management, CRM, ERP etc. We have deep relationships in this verticals and understand the nuances to position our clients for success. We add measurable value for our clients through our tracking and understanding of the market valuations and pockets of opportunities, our vast and deep relationship network in our target verticals and our flawless execution ability. Its the art of making the deal which sets us apart which cannot be explained or taught but can clearly be measured. ISS 24/7 is a provider of cloud-based incident management and computerized maintenance management systems (CMMS) software. Goombal provides customers with a comprehensive, cloud-based Meetings and Events Lifecycle and ROI Management software platform. True Blue Partners founding members founded a SaaS company in the semiconductor opportunity tracking space and acquired NeedaSample, a complementary technology platform. The combined company grew 300% year-over-year until it was successfully exited. PayStand provides a cloud-based billing and payment platform that digitizes receivables, automates processing, and reduces time-to-cash. AST Corporation is one of the largest pure-play Oracle implementation services providers. TBP helped AST acquire and integrate Serene Corporation for cloud enablement, and was invted to make a minority equity investment. In 2017, AST was recapitalized by Tailwind Capital. Subhash has 30+ years of leading turn-around of underperforming enterprise application software companies with a focus on technology innovation, focused go-to-market and operational excellence. 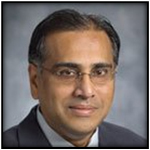 As CEO of Fox Technologies, Subhash transformed the company into a global enterprise access and identity management platform, reorganized loss making operation to EBITDA positive and grew revenues 200% that led to a successful acquisition. As CTO of CenterBeam, he scaled the operating infrastructure to support 400% growth in installed base. Prior to that he was the co-Founder of Vigilance where, together with his co-founder Jonathan Golovin, he Established leadership in Business Activity Monitoring with more than 25 of the Fortune 500 as customers. Prior to that he was the Chief Application Architect at Accenture. Subhash has a B.Tech. from IIT Bombay and a MS from National Institute of Industrial Engineering. 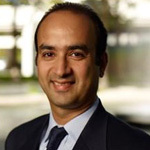 Sunil has 20+ years of investment banking and technology business operations experience. He has captured over $1Bn in transaction value in M&A, Private Placements and capital raises. He has executed bulge bracket transactions at Morgan Stanley, mid-market transactions at martinwolf M&A advisors. As a technology entrepreneur, he was cofounder and CEO of a Software as a Service Company where he raised seed capital, built the product and took it to market. Subsequently, he acquired a VC-backed fledgling competitor and drove 300% year over year sales growth while maintaining cash flow break-even. He subsequently exited the business to an overseas investment group. At True Blue Partners, he brings these diverse perspectives to technology entrepreneur and investor clients. He brings the financial rigor available to bulge bracket investment banks, the deal making savvy of a mid-market banker and the scrappy perspective of a technology entrepreneur. Sunil has an MBA from Chicago Booth, MS Washington University and a B. Tech. from IIT Bombay. He has also authored several patents and has a black belt in Tae Kwan Do.